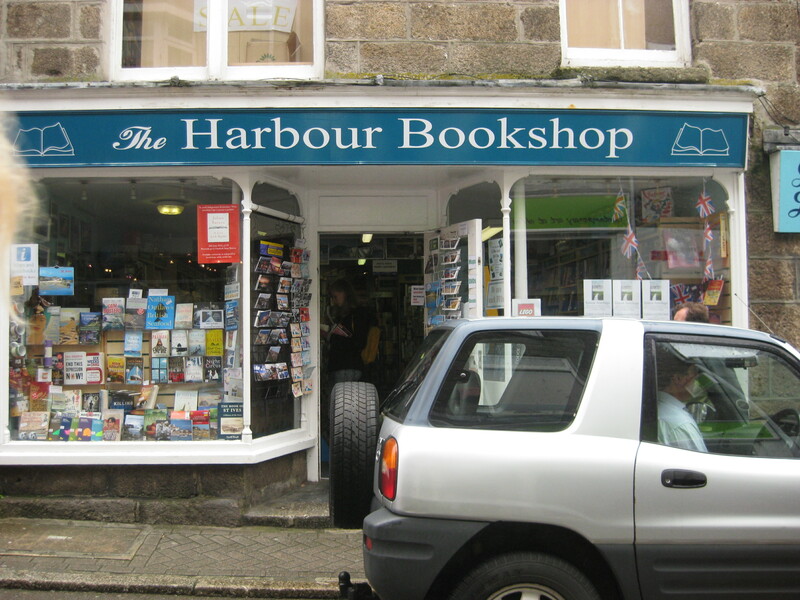 This is the second bookshop I visited in St. Ives. It’s not exactly a big town, and with the St. Ives Bookseller just around the corner, you might think there’s no need for another bookshop. But I say that you can never have too many bookshops! Although not quite as quaint and pretty as its competitor around the corner, and with a less attractive window display, The Harbour Bookshop actually has a lot more going for it. 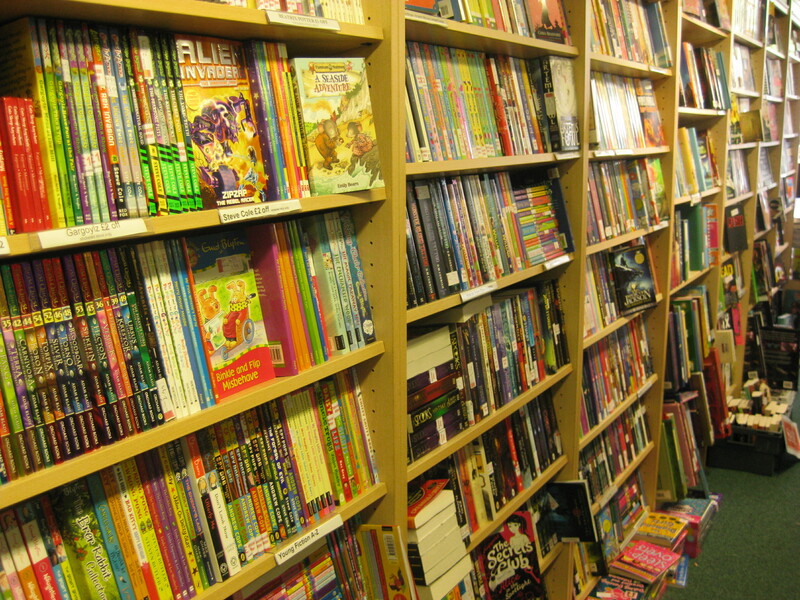 It feels like a more realistic shop – like somewhere you would go to actually buy your books. 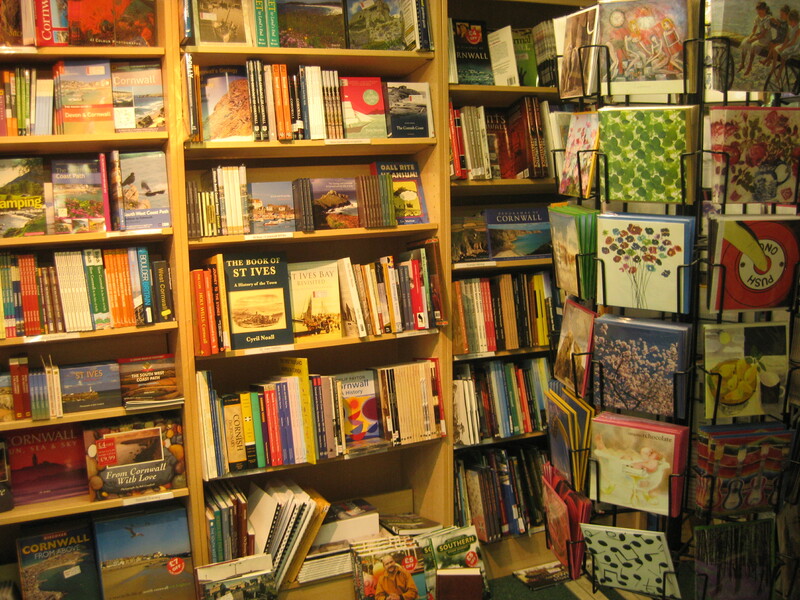 With more reasonable prices and a lot more variety, this bookshop is great for people with a wide range of tastes. 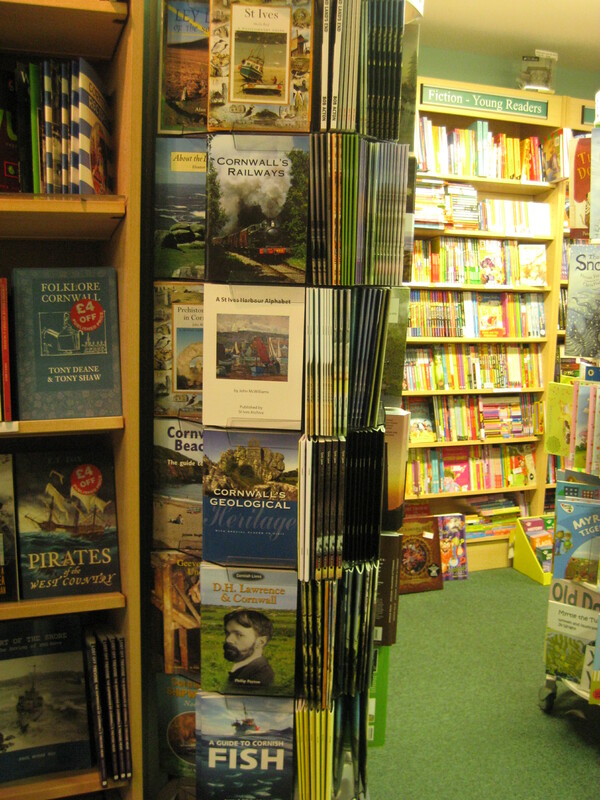 It’s also great for tourists, as it has quite a collection of local books showcasing Cornish history, art and fiction. The children’s and young adult section is huge, almost stretching across the whole length of the shop. I was very impressed with the variety on offer. Towards the back of the shop, there’s a massive collection of tasteful and slightly arty greeting cards. I have always thought books and cards go well together! The thing that makes The Harbour Bookshop special is the random piles of books found on the floor, either in sale boxes or simply propped up to display their covers. Even walking upstairs (to a room filled with general non-fiction) is a delight! 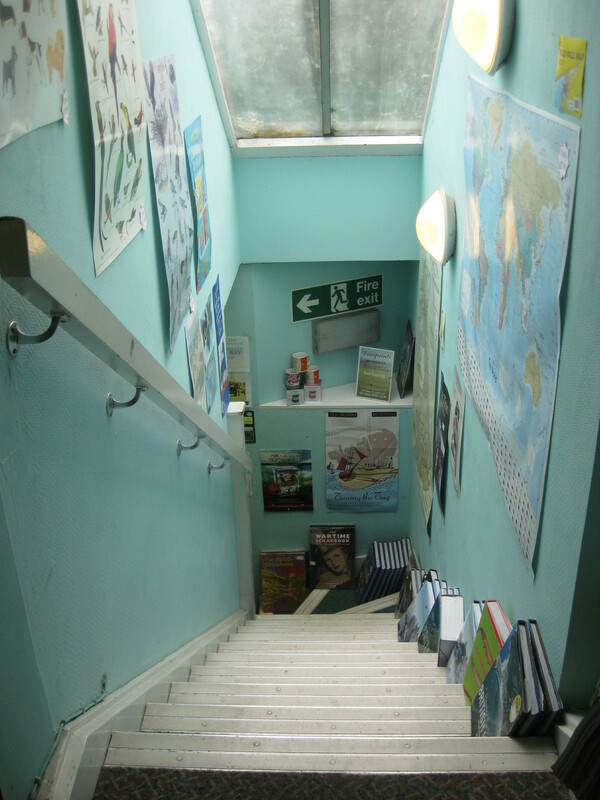 The walls are covered with maps and posters and each step provides a resting spot for yet another pile of books! This place is a bit higgledy-piggledy and clearly run by a book lover. My only (small) complaint would have to be the large red and white special offer stickers, which made the place feel a bit like a cheap stationary shop. I know I sound fussy, but I hate the sticky, dirty patch left behind on a brand new book! I suppose I shouldn’t complain seeing as there were so many books in the sale! And here’s a link to their website. There used to be one quite similair in Newquay but I belived it closed down, it’s a shame as that was where I discovered Kimberley Chambers. It’s so sad when bookshops like this close down!